The nominations announced for prestigious London theatre awards have been announced. The Royal Ballet's Aeternum, choreographed by Christopher Wheeldon has been nominated in the Best New Dance production while Marianela Nuñez has been nominated for Outstanding Achievement in Dance for her performances in Aeternum, Diana and Actaeon (from Metamorphosis: Titian 2012) and Viscera. Tenor Bryan Hymel has been nominated for his performances in The Royal Opera's Les Troyens, Robert le diable and Rusalka in the Outstanding Achievement in Opera category alongside a joint nomination for the Stage Management teams of both the Royal Opera House and English National Opera and Music Theatre Wales for In the Locked Room/Ghost Patrol, performed in the Royal Opera House's Linbury Studio Theatre. Former Royal Ballet dancer Gillian Lynne will receive a special award. The Olivier Awards ceremony will be held at the Royal Opera House on 28 April and will be relayed live to a big screen in Covent Garden Piazza. You can listen to live coverage on BBC Radio 2 and watch highlights afterwards on ITV. 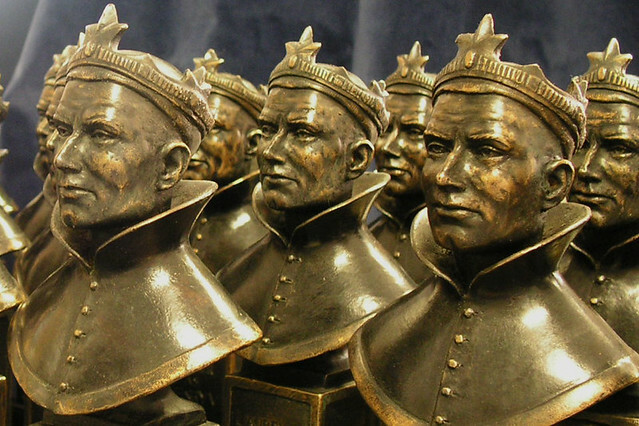 View the full nominations for this year's Olivier Awards.